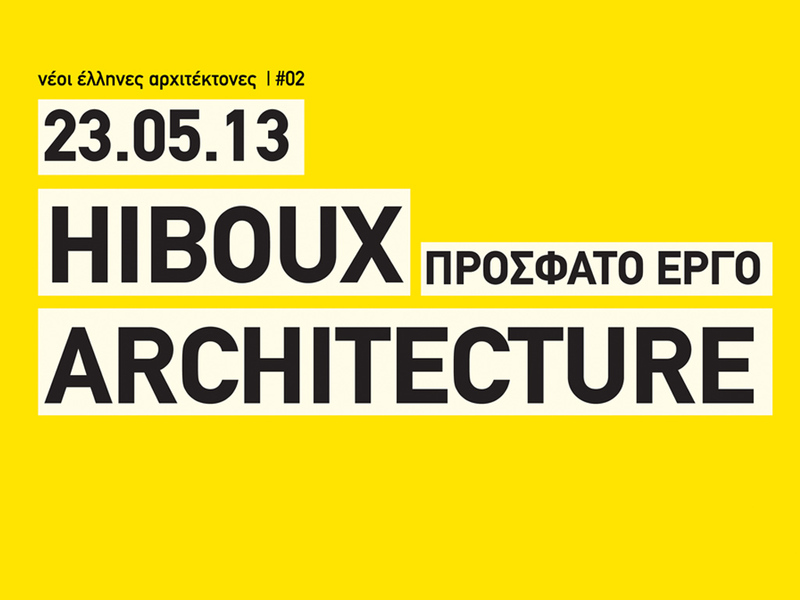 Ηiboux are a team of young architects who have been working together since 2005. Through their parallel explorations of spatial concepts drawn from other disciplines (such as the humanities, fine arts, performing arts, and spatial theory), they seek to broaden the practice of architecture. 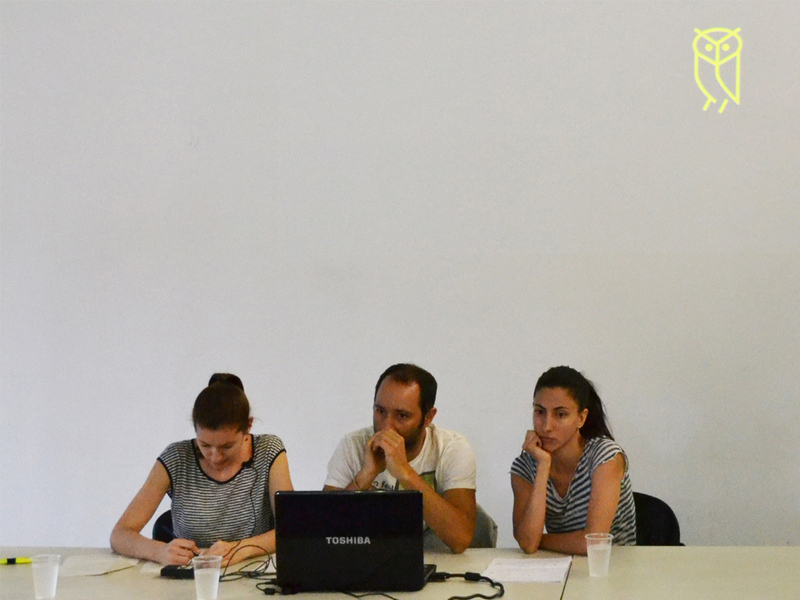 Their approach to each project is sharpened by the incorporation of elements from their interdisciplinary research. Of central concern is the unique way in which each person chooses to inhabit their space. These living circumstances form the starting point of each architectural study, focussing on the needs and desires of those using each space. In their attempts to carve out a contemporary design process, the team renogotiate notions of locality and modernism. Unconstrained by specific modes, construction norms, and notions of a “signature style”, Hiboux aim to provide more experimental project solutions. Dimitris Theodoropoulos studied architecture in the National Technical University of Athens  and in the Master course of Architectural Theory of the same university. In spring 2003 he attended classes in urban sociology in Univerisite Paris X, Nanterre. 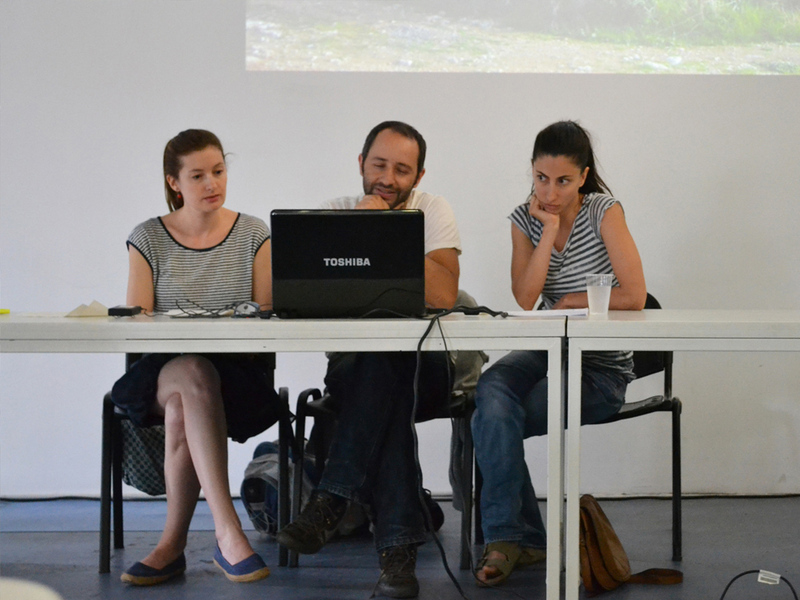 He collaborated with D.Loukopoulos office and worked as a freelancer with offices in Athens and Tripoli. 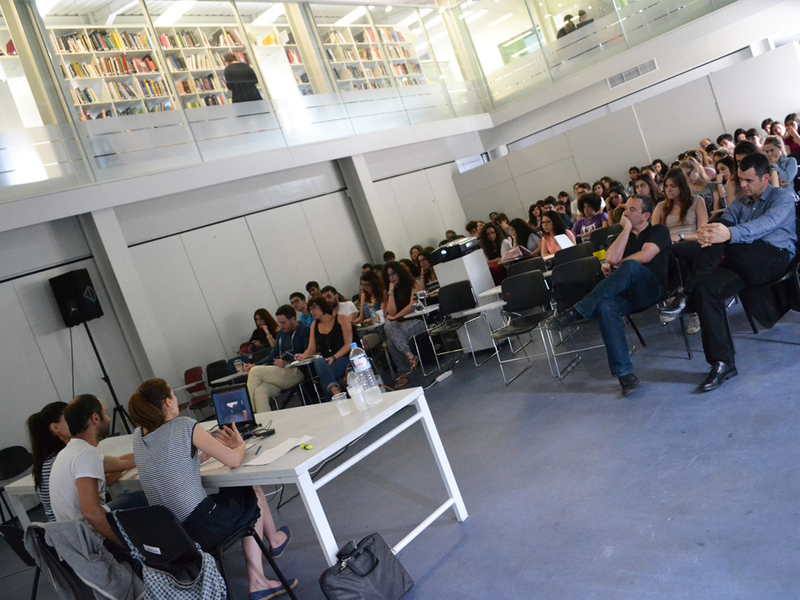 He was part of nikiou 22 group, for the projects “out of Athens” and “latomimata” and he worked for two research programs in NTUA. 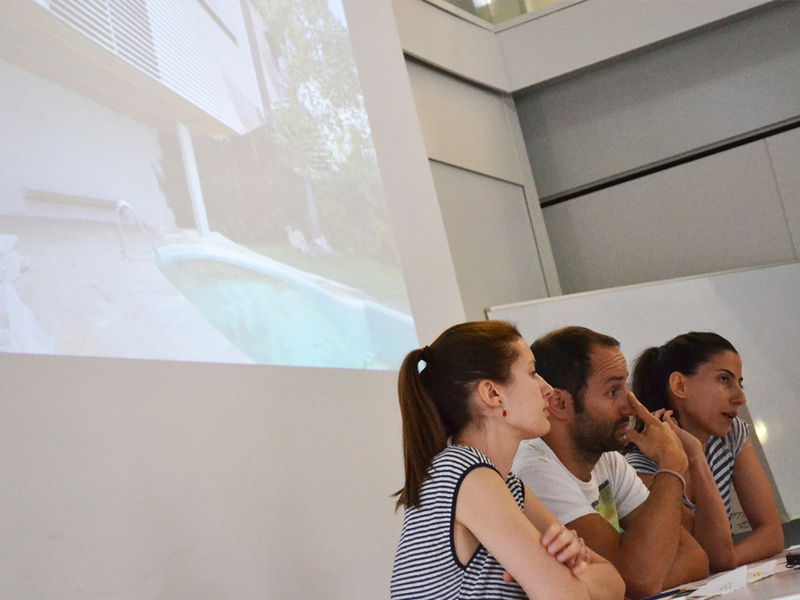 He has been awarded with the SADAS architectural price for young architects for the design and the construction management of the “house in Mani” (2010), in collaboration with Sofia Dona. As a member of the art group “Errands”, he has participated in exhibitions such as the 2nd Athens Biennial (2009) and the 5th Sao Paulo Bienal of Architecture (2007). Sofia Dona studied architecture in the National Technical University of Athens and in the Master of Fine Arts of the Bauhaus University of Weimar (“Public Art and New Artistic Strategies”). 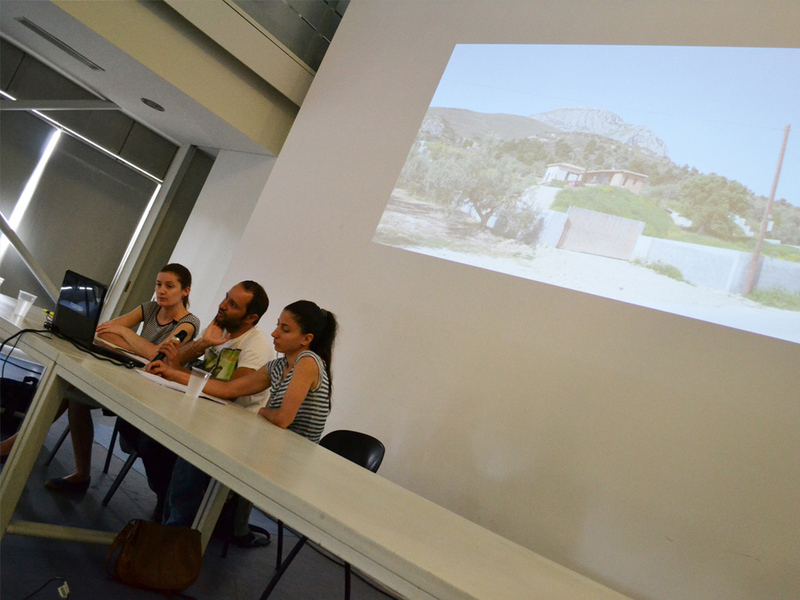 She has been awarded with the DAAD price of the best foreign student in the Bauhaus University of Weimar (2010) and with the SADAS architectural price for young architects for the design and the construction management of the “house in Mani” (2010) in collaboration with Dimitris Theodoropoulos. 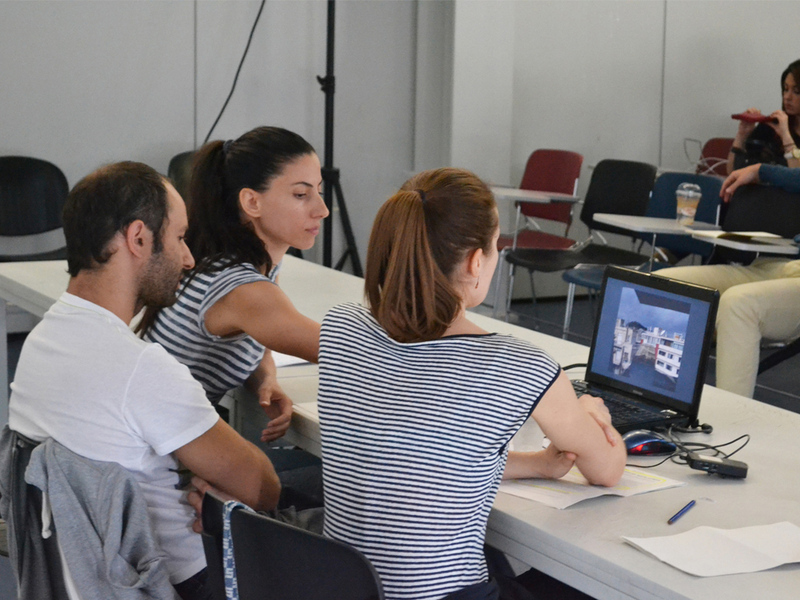 Together with Theodoropoulos they realized the set design of the INDOORS project of Dimitris Papaioannou. She taught architecture design in the Mongolian University of Science and Technology, Darkhan (2005).She has been realizing projects in the field between architecture and art in various cities such as Leipzig, Chicago, Detroit and Pisa. As a member of the art group “Errands”, she has participated in exhibitions such as the 2nd Athens Biennial (2009) and the 5th Sao Paulo Bienal of Architecture (2007). Her latest work and research concerns the symbolic twinning of the cities Leipzig and Detroit. 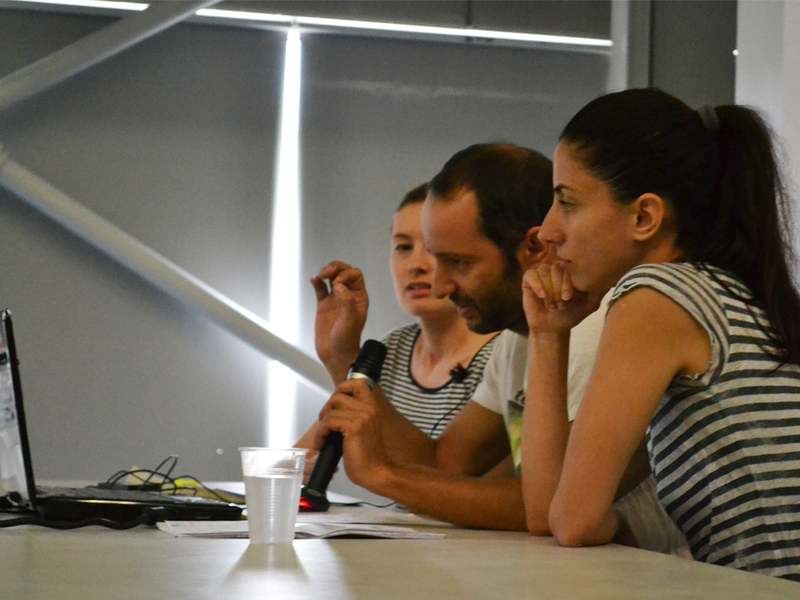 Marianna Xyntaraki studied architecture at N.T.U.A (2005) and earned a Master’s degree in Theory of Architecture in the interdisciplinary program “Design, Space and Culture” at the same University (2009). During her undergraduate and graduate studies she attended courses in urban sociology in Univerisite Paris X, Nanterre and at the Georgetown University in Washington USA. She taught Architectural Design as a teaching assistant at NTUA while conducting research on “body and space” under the supervision of Prof. Stavros Stavridis. She studied dance at the Institute International de Danse J.Stanlowa in Paris and has attended many courses and seminars in contemporary dance and choreography. After finishing her studies, she has worked as an architectural engineer for Prof. E. Pantaleon’s private consulting firm and at the same time took part on architectural competitions. Maria Tsigara studied architecture at the N.T.U.A and completed the postgraduate program “Social and cultural anthropology” at Panteion University (2008) focusing mainly in anthropology of space and the body, and political anthropology. During her studies, she participated in a research program at the University of Yildiz, (Istanbul, 2002) and attended courses at the University of Nova (Lisbon, 2003). After completing her studies, she worked for architectural offices and as a freelancer on the design and realization of several private projects. 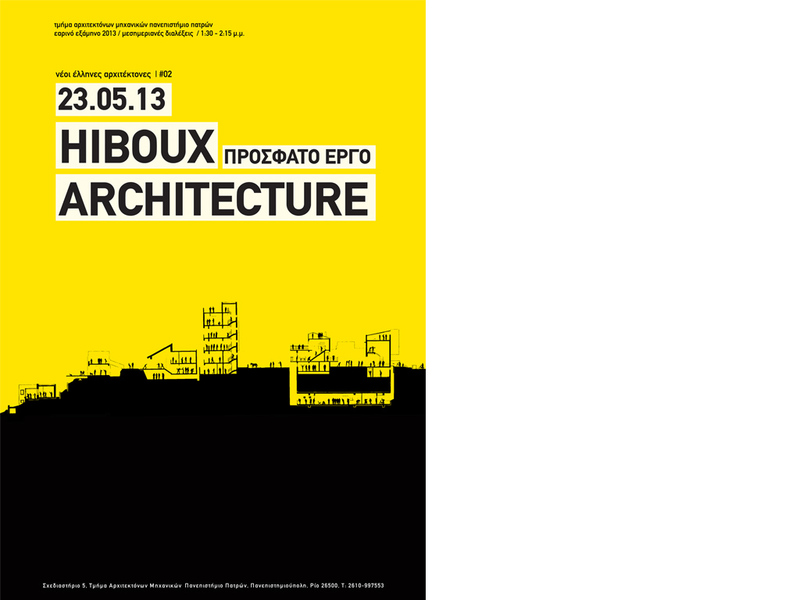 At the same time she took part in architectural competitions (first prize for the restaurant of the School of Architecture, N.T.U.A, 1998), the Exhibition of the Architects Association of Cyprus (Nicosia, 2001), 5th Pan-Hellenic Architectural Exhibition (Patras, 2006) etc. 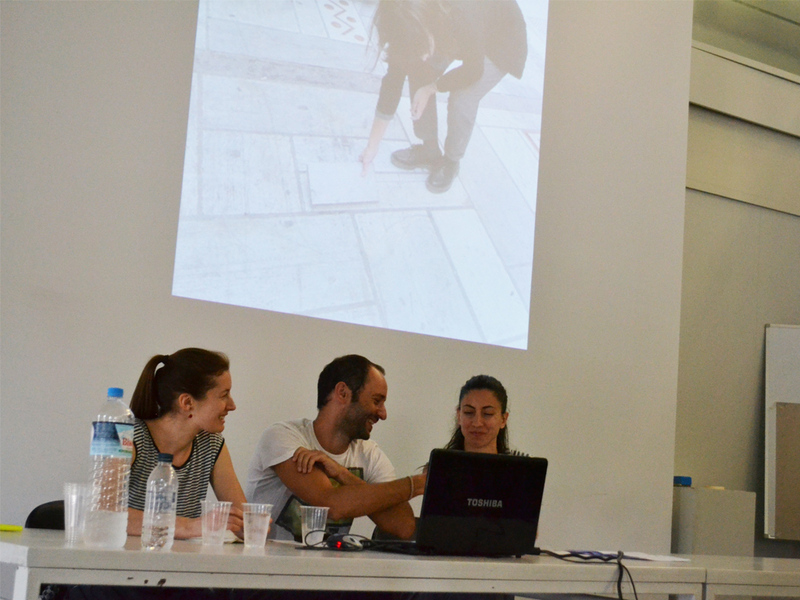 She is a member of Errands art group which participated in the 2nd Athens Biennale (2009) and other projects. She also published articles in the catalogue of the artist Harris Kondosphyris for the 26th Biennale of Sao Paolo (2004) , the blogspot crimevssocialcontrol.blogsot.com (February, 2009) and the collective edition of Stavros Stavridis “Memory and experience of space” (Alexandria editions, 2006).